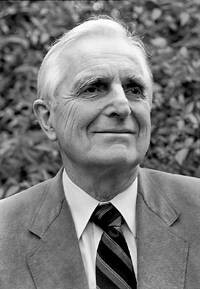 My thoughts and prayers have been with Christina Engelbart over the past couple of weeks because her beloved Dad, Doug Engelbart, passed away on July 2, 2013. Christina and I have a lot in common, and we’ve stayed in touch over the years. We both are the daughters of visionary revolutionaries in the computer age. We both worked very closely with our respective Dads. Both of our brilliant fathers had Alzheimer’s disease in their later years. It’s always sad to lose a parent progressively as their mental faculties slip away. It’s particularly tragic to lose the minds of such brilliant men to that dread disease. The only consolation is that when they actually die of physical ailments—my Dad in 2004; hers this year, both at the age of 88—you aren’t as devastated by grief. The loss already occurred, albeit gradually and sadly. I had the privilege of sitting at both men’s feet. My father, John W. Seybold, revolutionized the electronic printing industry—bringing us electronic newsrooms, electronic hyphenation and justification and pagination, and the precursor to HTML, standardized mark up. Like Doug, my Dad was a visionary—someone who could recruit people into his vision and who actually developed and deployed software and systems to make it possible for people to do things they couldn’t have dreamed of before. The idea of writing our own documents electronically and publishing our own content was a glimmer in my Dad’s eye when he and another visionary, John Tuohey, designed the first electronic newsroom for US News and Word Report back in 1969, giving birth to the Atex system, which became the stalwart in the newspaper publishing industry. Having studied and reviewed some of Doug Engelbart’s seminal work in the early 1970s, I first wrote about Doug’s work in 1978, when I reviewed the commercialized version of his OnLineSystem (NLS) that was then being sold by Tymshare as Augment. We stayed in touch over the years, and, in 1991, on one of my trips to Palo Alto to meet with Doug and his daughter, Christina, we agreed that I would interview Doug to capture some of his vision. This week, I revisited that 90-minute interview, and I was impressed, once again with the depth and breadth of Doug’s vision. I hope you’ll take the time to bathe in Doug’s seminal thinking. There was so much more to what he invented than the mouse or windows. His vision and his implementations of it really show us how to redesign the way that people work within and across organizations in order to be maximally innovative and adaptive. Doug’s life work isn’t over. We still need to implement much of his vision and to take advantage of the practices he promulgated within his own organization at SRI over several decades, which resulted in continuous innovation.